Last minute offer from the Eximtur company! See details here. 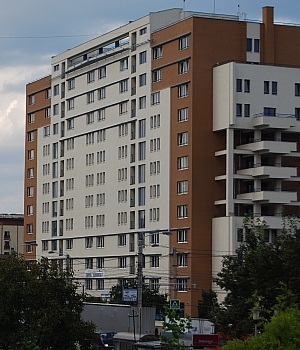 A number of rooms have been booked at the student hostels in the Campus Economica, within walking (3 minutes) distance from the conference site. These hostels are good quality budget accommodation at an affordable price (30 LEI/room/night). See a currency converter here. The rooms (with three beds) are modern equipped, with their own bathroom, refrigerator, internet connection and self-catering facilities (no TV). Bedding is included but towels are not provided, so please remember to bring a towel plus any toiletries you will need. Please note that breakfast is not included. Booking to this hostel will be made through the conference secretariat. 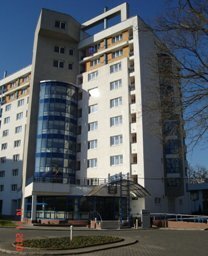 A limited number of rooms have been booked at the Babeş-Bolyai University hotel Universitas, situated within the Iuliu Hatieganu Park. The rooms are large, modern equipped, with TV and cable internet connection. Room rates are 90 LEI/night and breakfast is possible at an additional cost of 10 LEI/day. For the participants accommodated in the Universitas Hotel the transportation to the conference site will be organized each morning, by minibuses. Booking to this hotel will be made through the conference secretariat. We have blocked a certain number of rooms in the Royal Classic, UniversT and Grand Hotel Italia hotels below, and we might be able to block more as demand increases. However we strongly suggest to make your reservation as soon as possible as demand will rapidly increase as the Congress date approaches. Royal Classic and UniversT hotels are very conveniently located within walking distance (5-15 minutes walk) from the conference site. Please note that the rates for the following hotels are special rates for participants of the EUCMOS 2012. To benefit from these rates, please refer to “EUCMOS 2012” when booking your hotel room. Booking must be made by e-mail or by using the form found on the hotel web-site. - Non-smoking rooms are available upon request. For the first 5 hotels booking must be made by yourself direct to the Hotel. When filling the online registration form you will be asked to mention the hotel you have chosen for accommodation (this is just for having an evidence of the number of participants accommodated at each hotel). For all the hotels, the accommodation should be paid on site. For the Topaz, Vila Rao and Paradis hotels, booking must be made through the Eximtur company. Use the EUCMOS2012 map to locate your destination. If you come by plane or train, the most convenient way to reach your hotel is to take a taxi (1.79 LEI/km). If you come by car from Oradea take into account that the distance between Oradea and Cluj Napoca is 150 km which means that you will be driving for about 2h 30 min. For public transportation, tickets ("bilete") are sold at special booths, found in most stations. All tickets are for two trips. The price is 1.75 LEI per trip, regardless of the distance. One trip is considered from the station you get on the bus until you get off. Tickets CANNOT be bought from the driver. There are around 3000 cabs in Cluj-Napoca; you can recognize them by the signs on the side doors and on the top. There are about 5 major cab companies: Nova Taxi, Taxi Napoca, Pro rapid, Diesel, Pritax, etc. Their cars are all equipped with taximeters and have about the same prices, posted in a visible place outside (under the lateral mirrors) and inside. You are charged 1.79 LEI for departure, 1.79 LEI/kilometer and 1.79 LEI/minute of idle time during daytime and 2.50 LEI/minute during the night or 17.00 LEI/hour. You will also be given a receipt.